The Avondale Quality of Life Initiative is helping Avondale set goals for its future, prioritize its needs and generally get things moving toward positive change. The initiative is taking everything about Avondale into consideration: schools, parks, health care, child care, safety, social services and economic advancement. We are currently in Phase One of this effort, which calls for interviewing residents and community stakeholders to identify shared community priorities. Once this information is collected, we will develop a comprehensive plan and take action. ADC occasionally hosts community events to bring our neighborhood together. A great example was the Avondale Feet in the Street 5K & African American Male Wellness Walk, held on October 6, 2018. As we all know, in Cincinnati, African American males live an average of 10 years less than white men due to conditions that are largely treatable if diagnosed early. This was the fifth year of our annual 5K, and was designed to offer a lifeline to at-risk African American males by providing health screenings, counsel and important information – all in the context of a day-long festival where friends and family were offered support and encouragement. This year we had over 600 participants, 125 of which received health screenings, and it was all free. 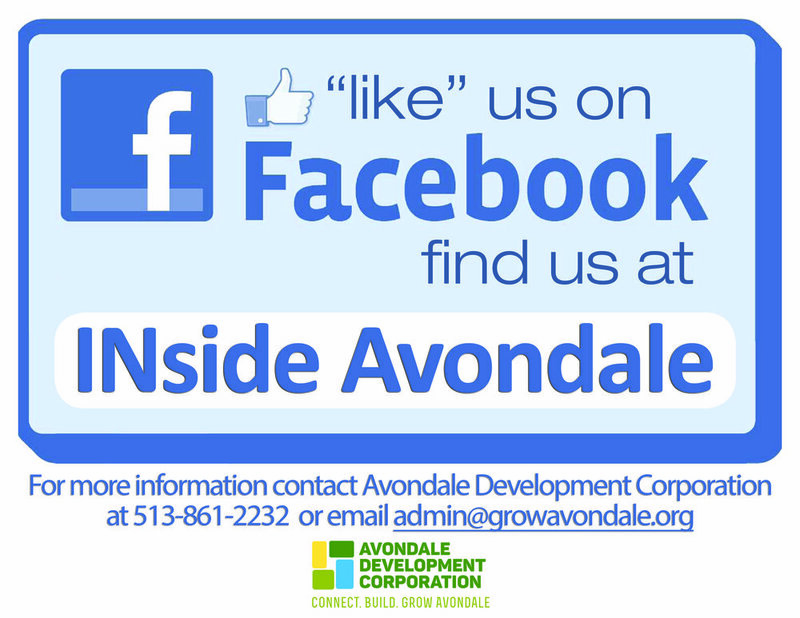 ADC also has a very robust communications platform to keep residents informed about important issues in Avondale. We have a biweekly email newsletter, a biweekly “robocall” system, website, Facebook page, Twitter feed and Instagram account. And we have a community engagement team that meets residents where they live and where they gather to deliver information and gain feedback about challenges facing our neighborhood. Pitching for Peace enlists the help of local government, civic business leaders, public and private organizations, residents, churches, schools and hospitals together on a softball diamond. The event is family oriented and friendly. The event will host a softball homerun derby, whiffle ball homerun derby and 7-inning softball game. During the 5th inning of the championship game the vested community groups will give community health, safety and other issues facing Cincinnati communities.Other key partners include the Cincinnati Children’s Hospital & and Medical Center, 101.1 WIZF, 4Awareness, Ronald McDonald House Charities, Avondale Angels Youth Baseball Organization, Stags Barbershop & Spa, and the City of Cincinnati. As part of the Avondale Quality of Life initiative, Avondale residents, Avondale Development Corporation, Green Umbrella, GoVibrant, ArtWorks, Landor, City of Cincinnati and the Cincinnati Police Department will be hosting a glow-themed night walk with to enhance community-police relations, disrupt drug trafficking and loitering, and celebrate community collaborations. Avondale Night Walk will consists of constellation light displays, glow games, glow activities, glow giveaways and a preview to the Festival of Lights at the Cincinnati Zoo.